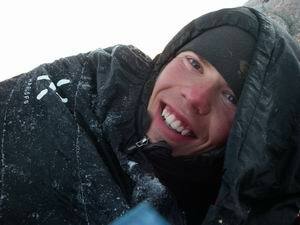 Despite his young age, Lauri is Finnish elite in alpine climbing. His climbing resume includes all aspects of alpine climbing from hard rock climbs to classic north faces. Lauri has climbed a long list of routes which have been given the much sought after alpine grade ED. He has soloed the alpine classic Frendo spur in 6 hours during the silent hours of one August night. Washington Column South Face V 5.9 C2 Yosemite 10h, Southern Man var. Blåmannen Ultima Thule V A1/A2, 250m Kvaloya overhanging aid route! Baugen Halvmånerisset 6b+, 250m Kvaloya superbe! splitters! Baugen Flygende Hollender 6b+, 250m Kvaloya every move is crux move! Aiguille de Roc Pedro Polar ED, 350m Chamonix splitters! Mont Blanc du Tacul Contamine Grisolle AD, 350m Chamonix mixed!